The social media company revealed the mistake in a recent shareholder report. Turns out, fewer people have been using Twitter every month than the company said. The social media giant revealed Thursday it misrepresented the number of monthly active users since the last quarter of 2014. Twitter realized it was mistakenly counting users of third-party apps linked to its Fabric developer platform. Twitter sold the platform to Google earlier this year. The company readjusted its monthly active user totals for three quarters, showing the mistake increased the actual totals by about 1 million to 2 million users. Twitter said it couldn't adjust user totals for quarters before the fourth quarter of 2016 because it no longer had that user data. Although that might not seem like much of a difference, Twitter's user base has grown (for the most part) by just a couple million from quarter to quarter. This user base error could also hurt Twitter's credibility, which has already taken a hit as it tries to curb harassment and abuse and shut down fake accounts. A study from March estimated as much as 15 percent of Twitter's active accounts are actually bots. 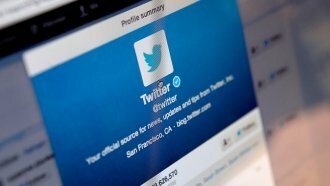 Twitter says it now has 330 million active monthly users.